We are counted among the prominent firm, which is engaged in offering a wide range of Magnetic Funnel Filters. The optimum quality raw material is sourced from the reliable and authentic vendors of the market to manufacture these filters as per the set industry standards and norms. Clients can avail these filters in single, dual and multiple magnetic elements to ensure high capacities as per their requirements. 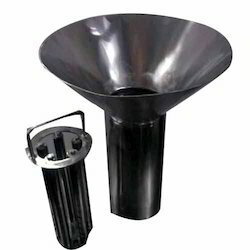 We are engaged in manufacturing and supplying a wide range of Magnetic Funnel Type Filters. For high capability, these filters can be accessed with single, dual and multiple elements of magnet. The magnetic assemblies are designed to avoid the interference of majority of trapped iron particles with the line of low. The flow rate is not reduced. Available in ferrite, Alnico, high power rare magnets, the magnetic assemblies are detached and can be cleaned in a simple manner. 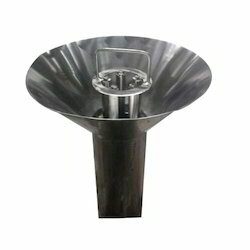 We hold expertise in offering superior quality Magnetic Funnel Filter. For interrupted and better flow of material, these filters are installed at a suitable location with passage of fluid flow. These filters are manufactured using high energy permanent magnet, which is arranged in a circuit to ensure better filtration. The assemblies of these filters can be detached and cleaned in a very simple manner. Clients can avail these assemblies in ferrite, Alnico and high power rare earth magnets manufactured using stainless steel 304 and 316. Looking for Magnetic Funnel Filters ?